A great way to eat breakfast or a snack. 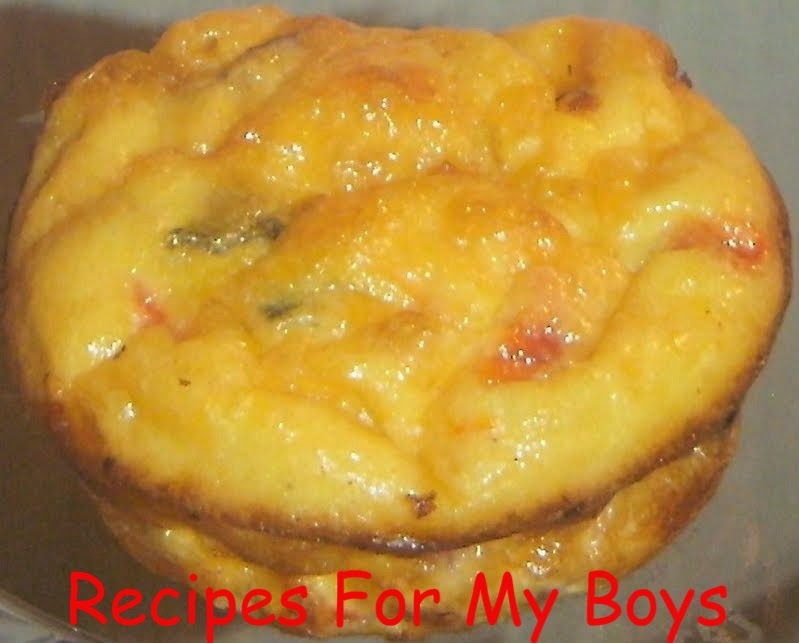 Eggs, cheese, bacon, roasted red peppers and black olives! Anything you have in your 'frigerator can go in a fritatta! Put in the oven while the children are getting ready for school. Easy breakfast that can be eaten with little hands.